"Crusades." Encyclopædia Britannica. Encyclopædia Britannica Online. Encyclopædia Britannica, 2011. Web. 24 Oct. 2011. 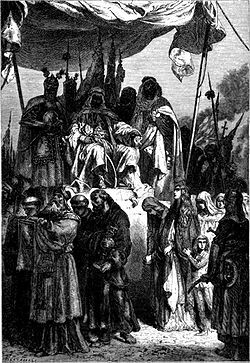 <http://www.britannica.com/EBchecked/topic/144695/Crusades>. R. C. Smail, Crusading Warfare, 1097–1193. Cambridge University Press, 1956. Steven Runciman, A History of the Crusades, vol. II: The Kingdom of Jerusalem and the Frankish East, 1100–1187. Cambridge University Press, 1952.